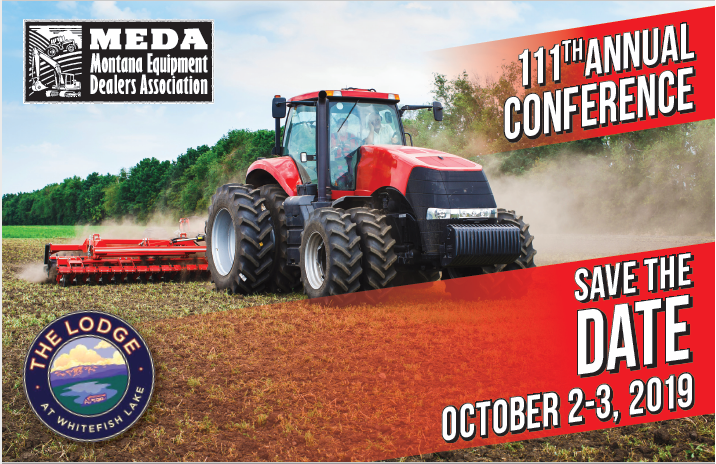 The Montana Equipment Dealers Association Annual Conference held in October each year, attracts a vast majority of members. We offer nationally known speakers at our educational seminars to improve the professionalism of the industry. Our 111th Annual Conference will be held on October 2nd-3rd, 2019 on the shores of one of Northwest Montana’s pristine lakes, at The Lodge at Whitefish Lake! The Annual MEDA Conference is a great networking, motivational and educational event. Expect to learn some new concepts that you and your department managers will be able to take home and implement to improve your business. You can also expect first-class meals, networking events, and activities.